Last week, both our CEO and Director were invited by AGRA to attend the AGRF 2018 conference hosted this year in Kigali, Rwanda. 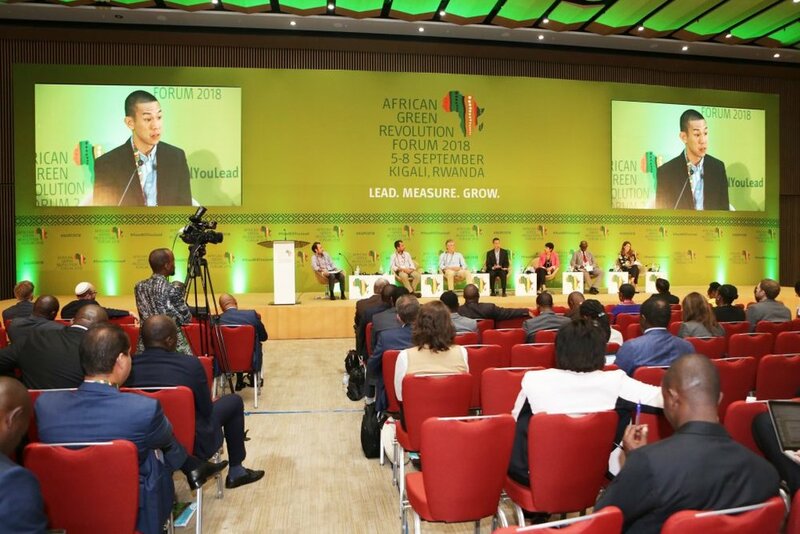 The AGRF is considered the world’s most important and impactful forum for African agriculture, pulling together stakeholders in the agricultural landscape to take practical actions and share lessons that will move African agriculture forward. Our Kumwe Harvest Director, Alexandra Sanderson, was also invited to join a panel discussion on ‘Win-Win Innovations in Smallholder Sourcing.’ Hosted by TechnoServe - an international nonprofit that promotes business solutions to poverty in the developing world by linking people to information, capital and markets - the panel highlighted innovative sourcing models that create significant benefits to both smallholders and companies, strengthening the entire value chain. In 2015, TechnoServe launched a platform called ‘Coalition for Smallholder Sourcing’ dedicated to supporting innovations and identifying win-win solutions in smallholder sourcing. Over the past three years, the coalition has supported three private companies in testing six innovations with the potential to develop shared value. 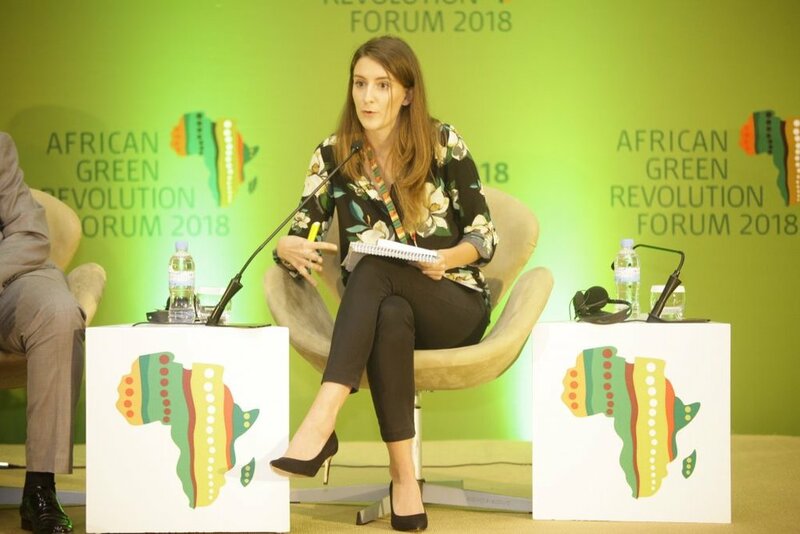 Whilst Kumwe Harvest was not one of the private companies included in the platform, Alexandra was invited to the panel alongside our partner Africa Improved Foods to discuss our own innovative sourcing model that has had proven success over the last year. The novel Kumwe Model was developed as solution to eliminate aflatoxin from Rwanda’s maize value chain, linking quality maize from smallholder farmers and cooperatives in Rwanda to high-value commercial markets and increasing farmers incomes as a result. Using efficient ‘just-in-time’ logistics and post-harvest handling, the Kumwe Model transforms the post-harvest process into a quick, efficient and mechanized operation. This is accomplished by purchasing unshelled maize (on the cob) from farmers, at farm-gate, immediately after harvest. The cobs are transporting to a central location for rapid mechanized shelling and drying. The grain is then delivered immediately and directly to commercial buyers. By aggregating maize at a central location and utilizing mechanized shelling machinery, Kumwe’s simplified and rapid process decreases the overall post-harvest processing time from 67 days to 6 days. As a result, the model dramatically reduces aflatoxin development, providing farmers and cooperatives reliable access to high-value commercial markets. At the same time, the model reduces farmers’ post-harvest expenses and losses for farmers, increasing income and dramatically reducing the post-harvest burden for farmers and cooperatives. Moreover, by dramatically reducing rejections and reducing the landed cost of maize for AIF as a result, the Kumwe Model allows AIF to reduce the cost of its nutritious foods for consumers in Rwanda. This benefit supports the availability of affordable nutrition for people in Rwanda. With the win-win model, Kumwe Harvest aims to set a new paradigm for Rwanda’s main value-chain and achieve elimination of aflatoxin and post-harvest losses, reliable farm-to-market link and 100% local sourcing for commercial agribusinesses.